It's a screen that we all see every day, but many developers have their eye on the Lock Screen with a view to making it even more useful. XAP Studios' vision is packaged up in Lock Manager, offering you wallpaper choices and personal data to be shown when you hit the power button. 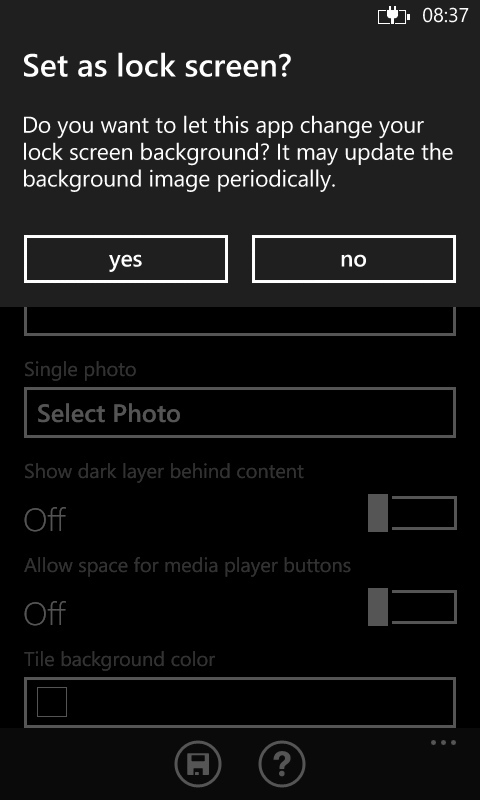 The lock screen image is one of the most personal items on a Windows Phone, so I'm glad to see that you can still add your own photo, but you also have the option to create a slideshow of images, as well as setting the background to a solid block of colour. But the one thing that makes me really happy about using Lock Manager should be obvious to long-time readers of AAWP... 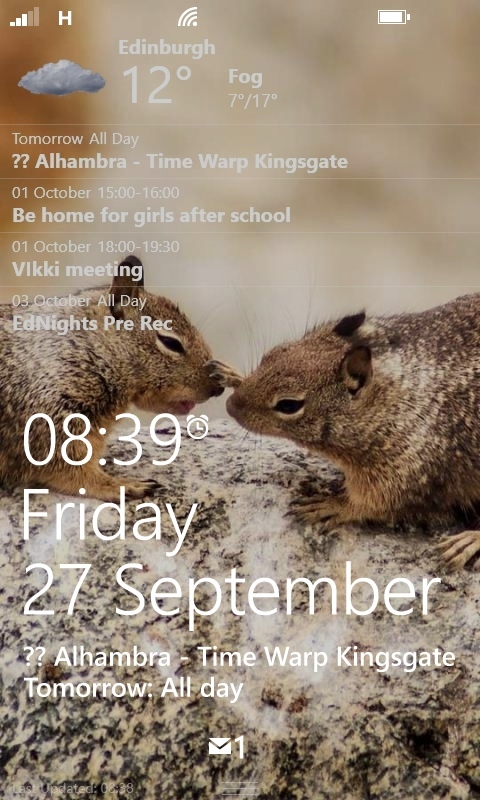 Lock Manager allows me to continue using the Bing Image of The Day on the screen it generates. More than that, it allows me to select which country's image I can use. 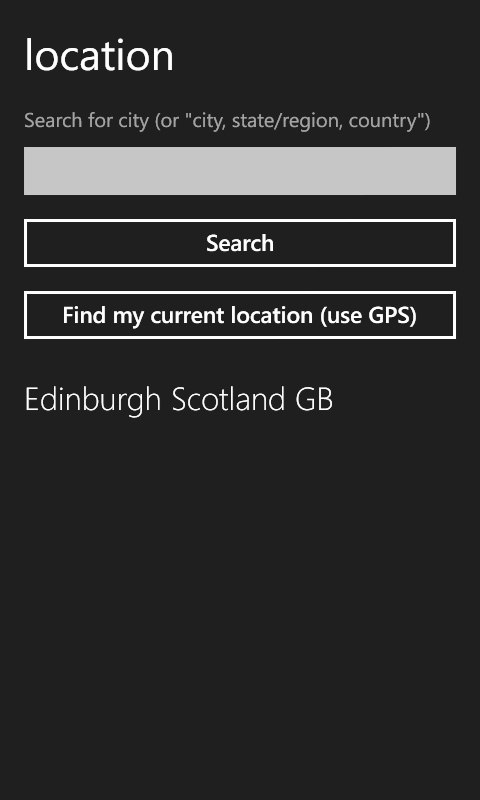 Finally, I can sync the country disparity between the Search screen and the Lock Screen of my Windows Phone. That makes me a happy bunny, and frankly I could switch off all the other features of Lock Manager and still use the application. But the goal of Lock Manager is to give you more information when you hit the power button on your phone, and it certainly does that. Opening the application allows you to decide what to put on show, and tweak the presentation and layout. 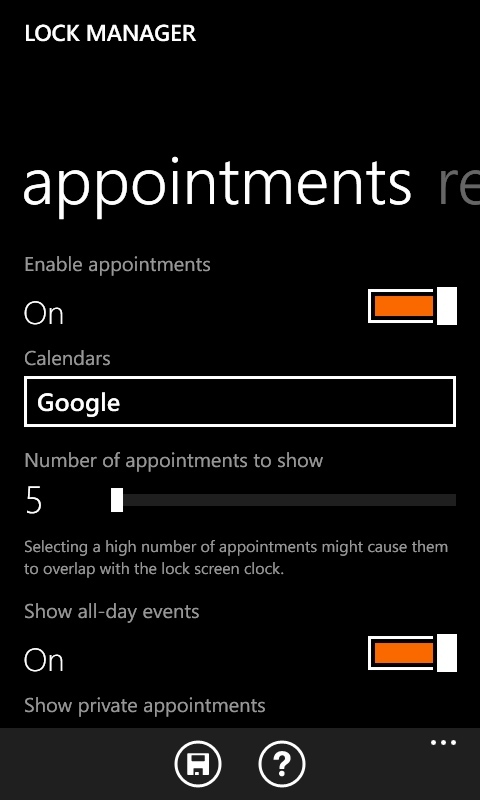 Just as it does with the Bing Image of the Day, Lock Manager gives you a lot of options to play with. Handling the background image, you can set the colour of the tiles that are sometimes shown, you can leave space for the media playback buttons, or darken the area behind text to improve the readability. Like any good Windows Phone, you can have it tell you the weather, although tucking this away at the top of the lock screen is a good place for this to be. Again the options are here; a fixed location or GPS, which units to use, the graphical theme for the weather icons, all here. You can pull calendar data out to show various events from the upcoming day, although the options on Calendar choice are at a service level (so Google or Hotmail, rather than the individual calendars in each service). I suspect this is an issue with Windows Phone, as I don't recall other apps getting that fine control either, but it does seem a missed opportunity. Finally you can set your own reminders, which are three lines of text set in the app. For this to work you need to set Lock Manager to be the app that shows the 'detailed status / notification' for the Lock Screen in the main Windows Phone setting. This is a nice touch, although it can be a bit cumbersome to set up. All of these are set from a panorama view that you get to by opening the app - hit the save icon at the bottom of the screen and the changes will be 'locked' in and the new image will be on your lock screen, waiting for the next time you want to glance at your phone after switching it on. Lock Manager promotes itself as 'the best app to take full control of your lock screen'. I don't think I would go that far, but it's certainly flexible, useful, and easy to customise. The trial version is ad-supported but otherwise fully functional, and it's definitely one for consideration if you are looking for this sort of functionality in your Windows Phone.